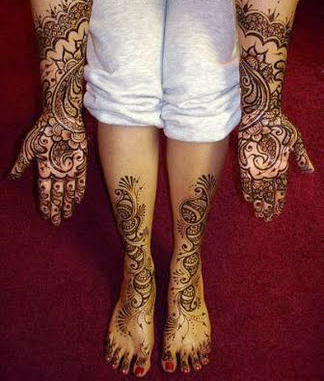 Beautiful art of hands and feet mehndi Painting designs, Mehndi Designs for Hand And Feet are involves painting beautiful and elaborate patterns with a dye made from crushed leaves of the henna plant. 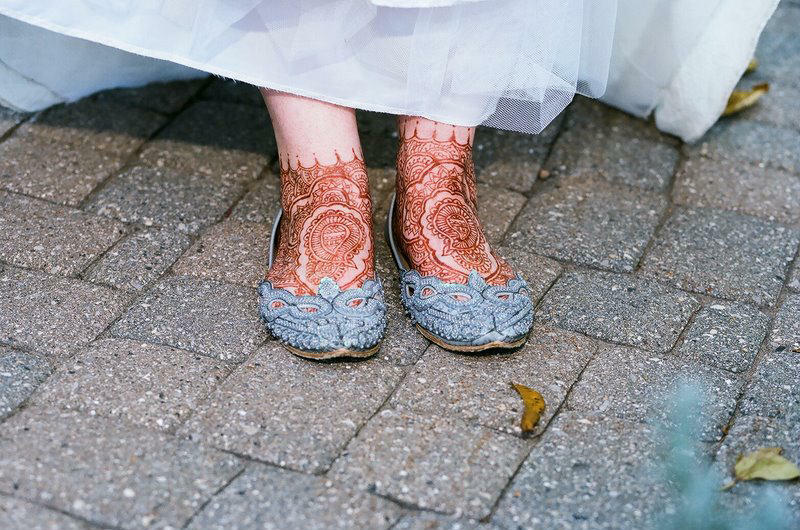 The Middle Eastern style consisted mostly of floral patterns inspired by Arabic carvings, paintings and textiles. 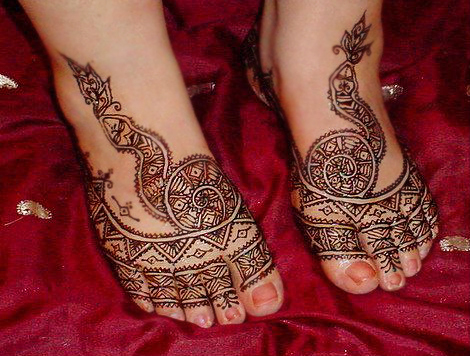 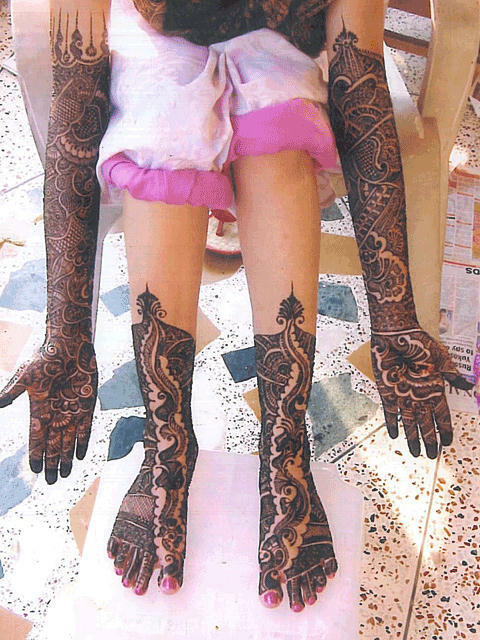 Mehndi Designs for Feet and Hand did not usually follow a specific pattern. 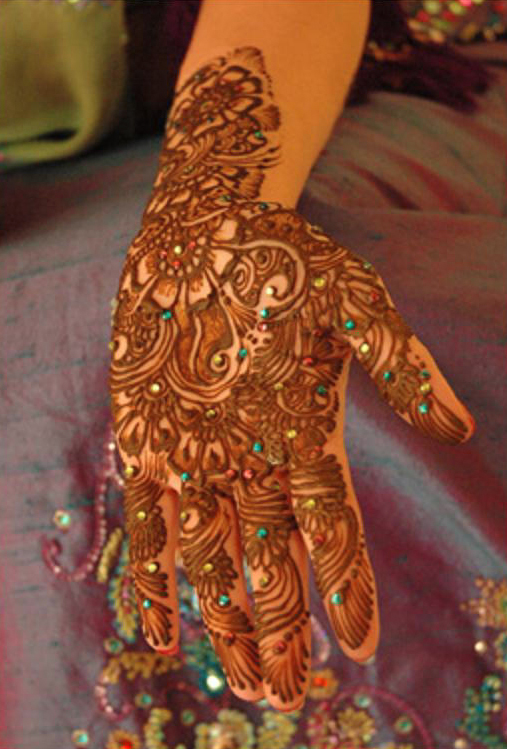 The Indian and Pakistani designs are made up of intricate, repetitive paisley patterns, lines and teardrops. 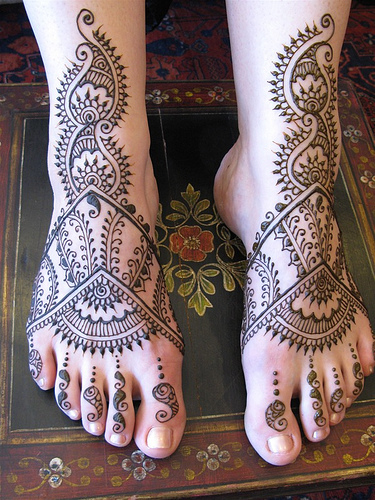 Some of the popular designs for Hand and Feet include flowers, leafy tendrils, and abstract shapes. 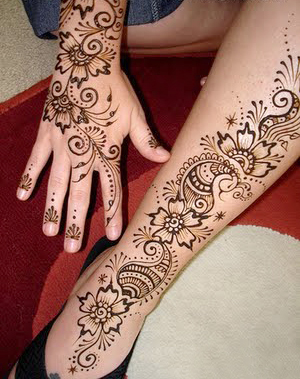 Applying henna designs on Hand and Feet are a little more difficult, but can be created easily with a bit of concentration.